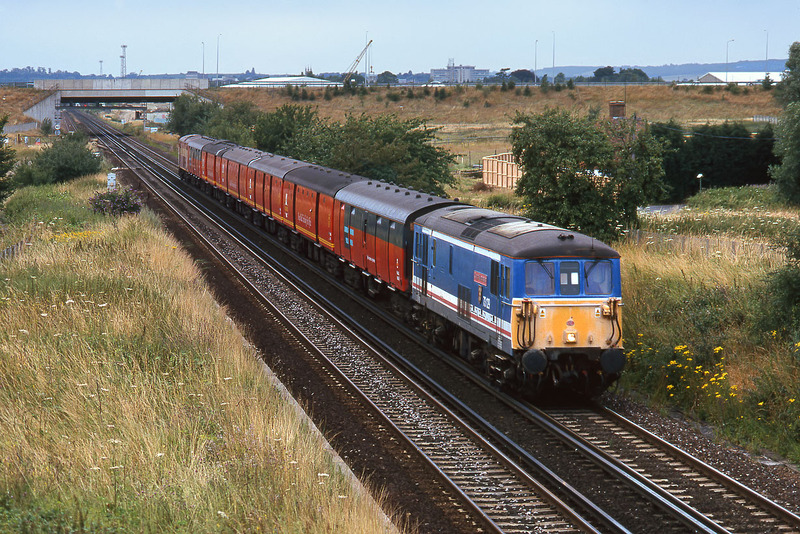 Still several years away from withdrawal and subsequent preservation, 73129 City of Winchester passes Sevington on 16 July 1999 with the 1O90 16:30 London Railnet to Dover TPO. Classmate 73128 can just be seen on the rear. The new fence around the house directly above 73129 marks the very first stage of construction of the Channel Tunnel high speed rail link.